Blueberry Headband is a cannabis hybrid which blends together potency, aroma, flavor, and high-yielding as majestically as it could have been expected and with the best possible quality. 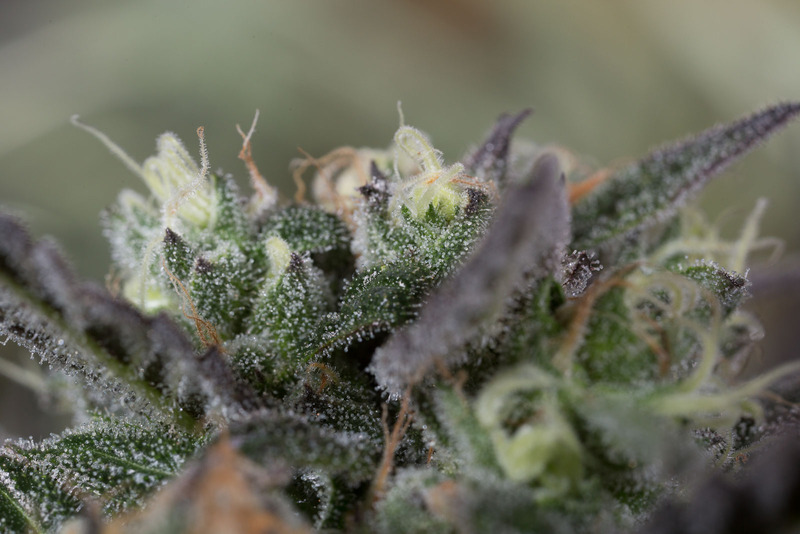 HSO has succeeded in creating this new cannabis creation by crossing the Blueberry and the 707 Headband. The result is a cannabis plant that yields plentiful crops with subtle fruity notes highly appreciated by the general public. When indoors, it is necessary to control its growth and, during the flowering period, the contact with low night temperatures will lead to the emergence of extraordinarily beautiful reddish and purplish tones. This cannabis strain will tempt even the most demanding users thanks to its intense flavor and aroma, brimming with nuances of spices and aniseed. Its effect, a combination of cerebral and physical, is really potent and long-lasting. This high-quality new strain will meet the expectations of those experts looking for seeds with high potency. I ordered a 3 pack of this strain for my indoor grow and was amazed at the quality of the genetics compared to other seeds I've tried.The final product was another level than what I'm used to so I will definitely be back for more,Great work HSO! Blueberry headband! Wow,where to begin? Humboldt -prettiest packaging in all industry! Blueberry headband, I grew few times, one advice -this strain can take a lot from heat to over feeding to any other stuff. Once you give it space, it grows and grows and grows :) bigger pots is a must! Loves scrog and supercrop as lst too. In Dwc and proper scrog all buds looks like main bud! Sticky and dense buds to be expected. Never had less than 220g per plant! Highly recommended !!!!! Probably the best tasting girl to come out of my greenhouse this year. It didn't look big but it yielded very well. Surprising because it showed early problems Potent, a surprisingly uplifting and energetic high for a 70% indica. I was very surprised and impressed with the yield, I did not handle this plant nearly to its potential. It went almost black and so full of terps the leaves tasted like blueberries. Loved it. Definitely trying again next year see if I can make it even better! best weed I have ever grown and smoke in 15 yrs. and I have grown and smoked all the cannabis cup winners. however 3 out of 5 seeds were runts. they were the best smoke and flavor and high is instant and very enjoyable However yield is a half ounce per plant in door. most of my indoor produce 2 ounce per plant. 1000 hps 16plants per light. For get about yield this weed is still worth it. All hso seeds I have grown are outstanding. Unreal! I love this strain, so decided to grow some. First time growing it, but I've already ordered more. So beautiful to look at as the colors set in. Great yield as well. Hi there guys Just wanted to say I've grown out this great strain last year it was truly one of the best grows ive done. Very dence resinous buds the smell of aniseed wow once you smell it that smell stick around all day. This strain clones easily. 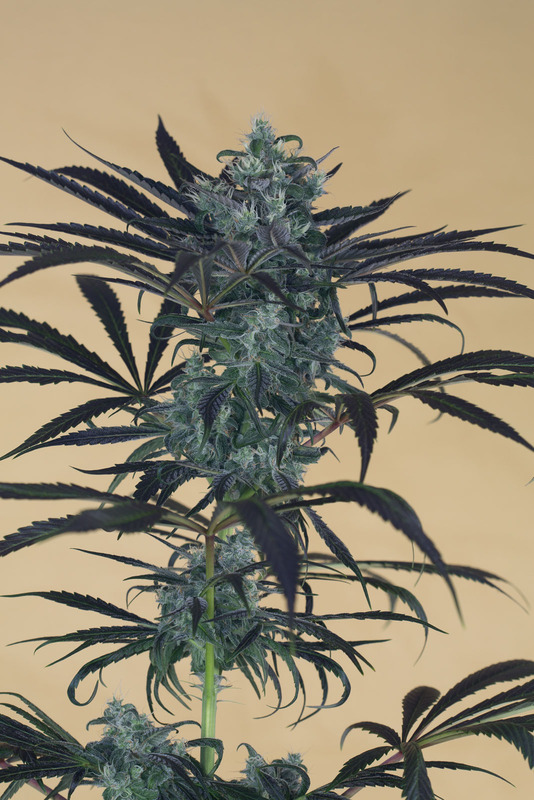 It has a great woody stems all the way up the plant not like most strains. Great bag appeal nice tight bud. I veged my girls indoor and finished them outdoor here in Australia it works out great. Where i live its quite humid about average rain fall. It really does well with mold and bud rot considering how dence the buds are. Example i grew the same time strains that were bread for mold residents and had lots of mold i wont mention what ones. But if ppl buy these seeds you will be very happy. I just bought 50 more seeds. Im only going to have this strain in my grow. Blueberry headband by HSO is truely amazing ,From the earthy taste down to the couler on the buds this strain will truely suite any consumer's needs , I baught a packet of 5 feminised seed's and will most defonatly be ordering another 5 ..keep up the good work HSO on these new strains !! Easy to grow and what an amazing mellow strain! My first time having it and might I say, clear thinking not too psychoactive. I was able to go a whole day without feeling like I need to rest. It was excellent for night time use as well. Blueberry Headband brought me back to life after feeling nauseous and weak hours before I smoked it. Highly recommended! This has got to be the my favorite strain in your line up. The size of the colas she produces is amazing. And the Blueberry smell is on point and so strong. Would love to give her another run sometime. Growing organic for 3 years now , I love this strain. Just popped another one, love this strain! This is Must for the Garden.